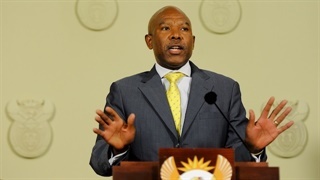 The broader the mandate of a central bank, the harder it is to keep accountable, Reserve Bank governor Lesetja Kganyago told a press conference in Washington. And the trend is towards more independence for central banks, he said. The ANC has promised voters flexible monetary policy (that's already in place), the DA is warning against populism in the central bank's mandate, and the EFF is preemptively taking credit for the nationalisation of the Reserve Bank. 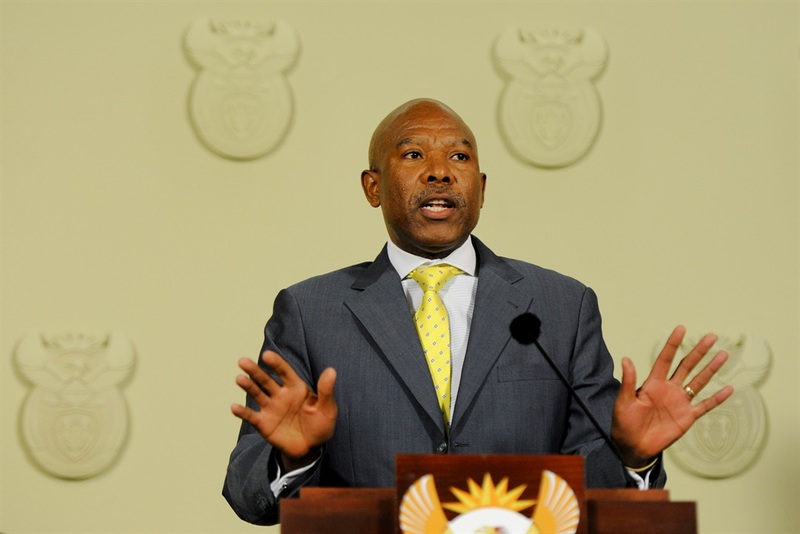 The trend is towards more independent central banks, Reserve Bank governor Lesetja Kganyago says – and keeping an independent central bank accountable is easier when it has a narrow mandate. 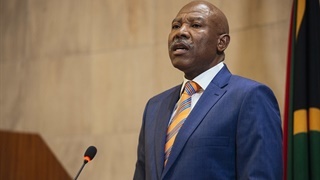 Kganyago made the remarks at a press conference in Washington after a meeting of the International Monetary and Financial Committee (IMFC) – after creating the space for himself to make the point. Asked whether she was alarmed by recent political pressure on central banks, from the likes of US President Donald Trump, International Monetary Fund (IMF) head Christine Lagarde took a diplomatic approach, the IMF's transcript of the Friday press conference shows. Independence had served central banks well, she said, but "here are different ways around the world to organise" a central bank, and different central banks have different mandates. But Kganyago, the chair of the IMFC, didn't leave it at that. "Let me add something and say that institutions in society are created for a purpose," Kganyago said. The trend, Kganyago said, is increasingly towards more independent central banks, not less independent ones. "The clearer the mandate of a central bank, the easier it is to hold a central bank accountable. And so, whilst the central banks are given the independence to pursue their mandate, the flip side of independence is that of accountability; that central banks have got to be accountable for how well they are doing in fulfilling their mandates. "The broader the mandate, the more difficult it is to hold the central banks accountable, with respect to the execution of their mandates." The ANC's election manifesto says the party "believes that the South African Reserve Bank must pursue a flexible monetary policy regime, aligned with the objectives of the second phase of transition". "Without sacrificing price stability, monetary policy must take into account other objectives such as employment creation and economic growth," the party's position reads. 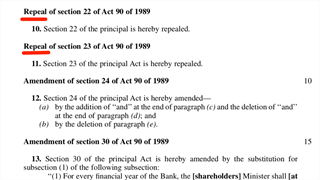 Almost as soon as the manifesto was officially published, the ANC said it does not intend to change the Reserve Bank's mandate. Finance minister and former Reserve Bank governor Tito Mboweni said there was nothing new in the ANC manifesto, and that the Bank was already pursuing a flexibly policy and taking into consideration issues such as job creation. It was not immediately clear why, then, the ANC would say that something that is already happening must happen. Last week the increasingly controversial secretary-general of the ANC, Ace Magashule, urged incoming ANC members of Parliament to ensure that the Reserve Bank is nationalised – urgently – in line with the party's policy position. It was not immediately clear why Magashule was admonishing members of his party to act in accordance with the formal decision of the party, which has been unequivocally reiterated by President Cyril Ramaphosa. However, the debate on the nationalisation of the Reserve Bank has in the past been seen as a proxy for the debate on changing its mandate. Opposition parties too have been campaigning around the Reserve Bank. The Democratic Alliance has warned that the ANC "would move to adjust the bank’s mandate, meddle with inflation targeting, and in turn negatively affect the cost of living for ordinary South Africans" once the Reserve Bank is nationalised in "a dangerous and populist move". The EFF, meanwhile, has claimed credit for the move towards nationalising the Reserve Bank. On Saturday, at the same IMFC meeting, European Central Bank head Mario Draghi spoke out about the independence of the US Federal Reserve in unusually strong terms. "If the central bank is not independent, then people may well think that monetary policy decisions follow political advice rather than objective assessment of the economic outlook," Reuters reported Draghi as saying – speaking “especially” about the United States. "Central banks ought to be left free to choose what is the best way to comply with," their mandates, Bloomberg reported Draghi as saying.